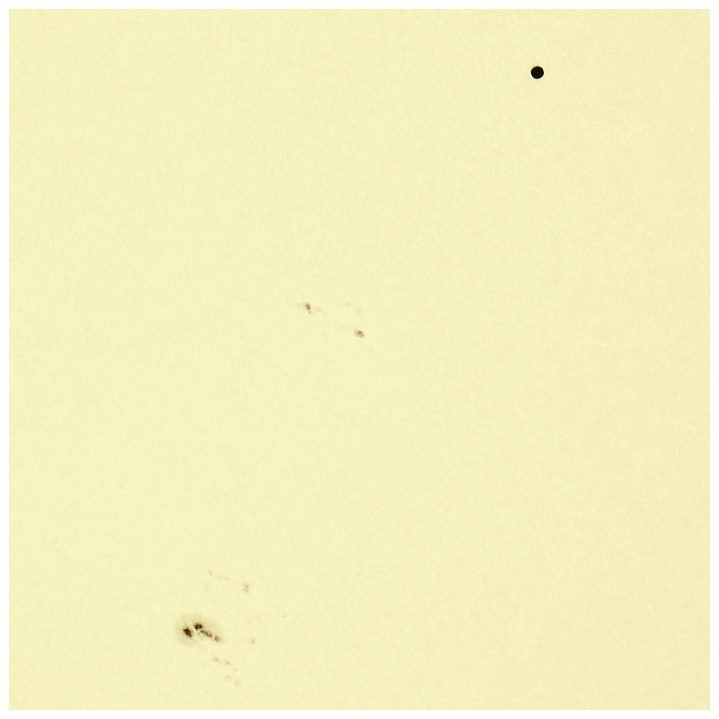 On May 9, 2016, the planet Mercury passed directly in front of the sun (visible as a small black dot on the sun’s face). The whole event lasted seven and a half hours. However, in this part of Chile the initial stages (first and second contact) took place shortly before sunrise, and were therefore not visible. 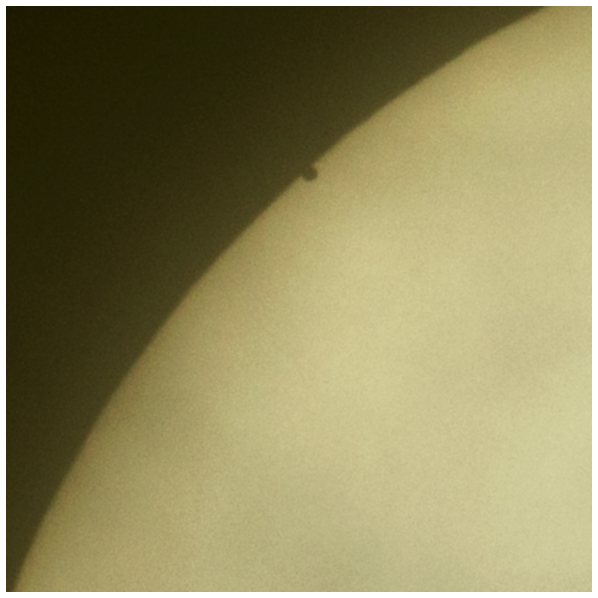 We had quite some clouds on that day, but I was lucky and could watch and photograph most of the transit. 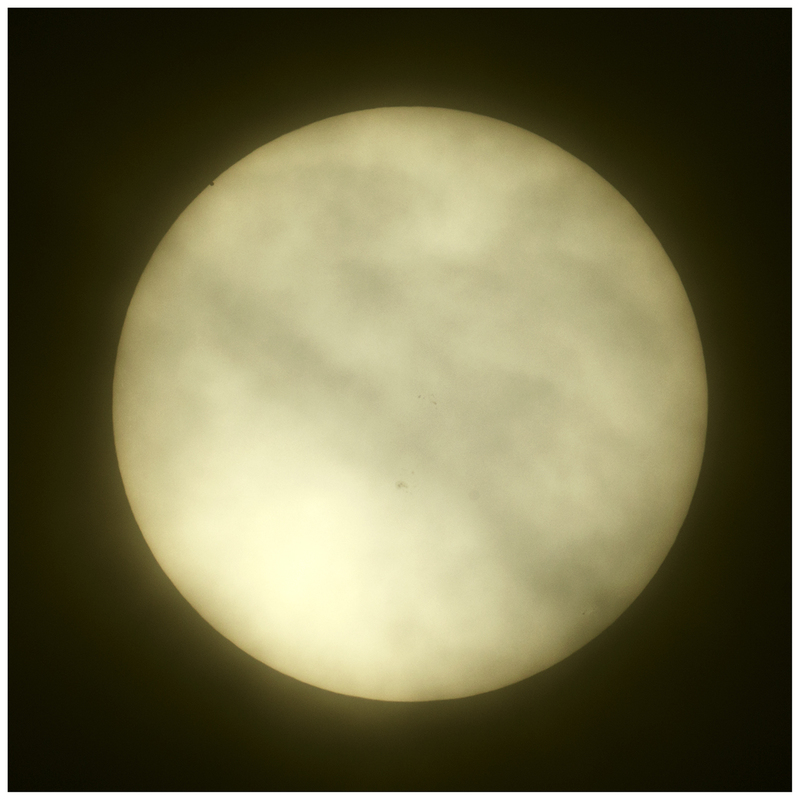 Transit in progress; Mercury and sunspots. 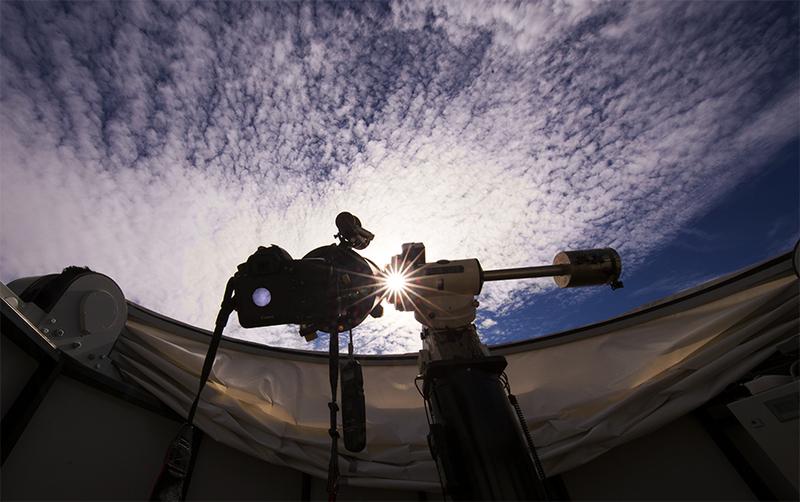 Mercury is leaving the sun’s disk (third contact). A 100 % crop of the above picture. 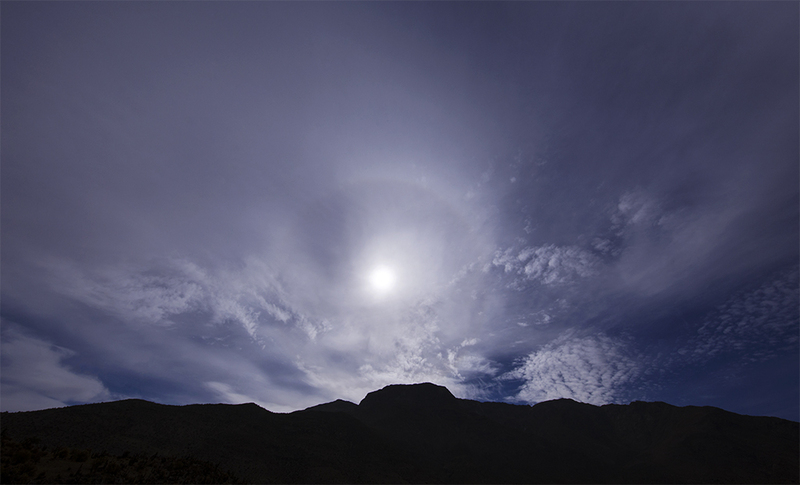 Sun halo during the transit. 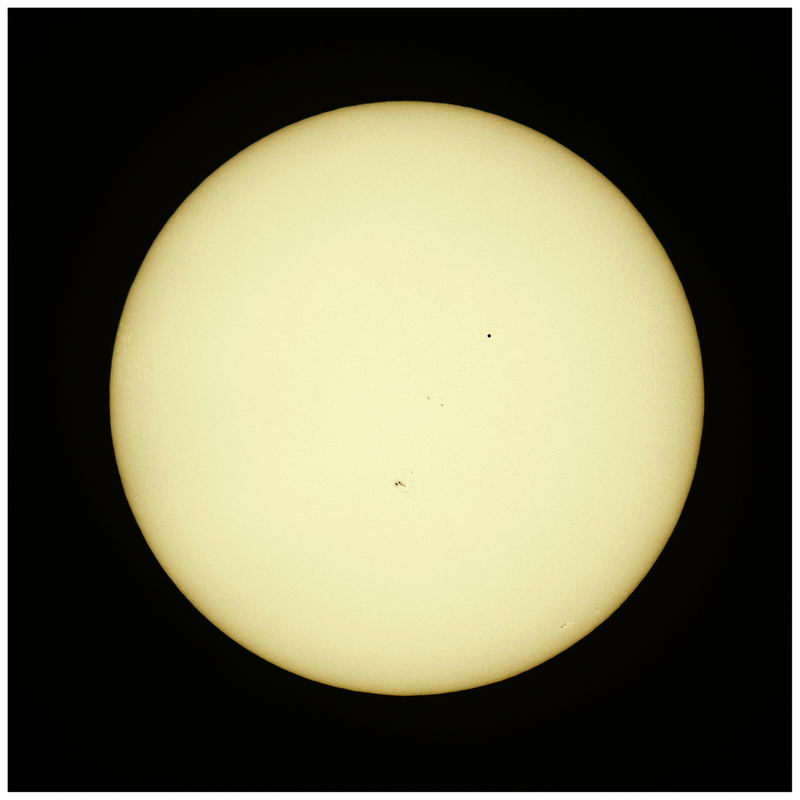 My setup for the transit (8″ TEC APO, 1600mm, f 8, Baader AstroSolar Safety Film).